The American Physical Society (APS), a premier scientific member society and scholarly publisher, seeks a dynamic and highly motivated individual for the position of Head of Editorial Development for the Physical Review family of journals. The successful candidate will report directly to the Editor in Chief and work in concert with the Editorial Director and senior members of the Ridge Editorial staff on a range of editorial tasks including coordinating and implementing editorial goals and managing the editorial aspects of interdepartmental projects. They will also act as project manager for the editorial aspects of new journal launches. Qualified applicants will ideally hold a Ph.D. degree in physics or a related field and have a proven history in managing complex and inter-team projects. Experience in scientific publishing and/or management experience in an organization with significant scientific or technical components is extremely advantageous. The applicant should have strong interpersonal, team management and communication skills, as well as, a demonstrated track record of being able to prioritize and execute multiple projects simultaneously. 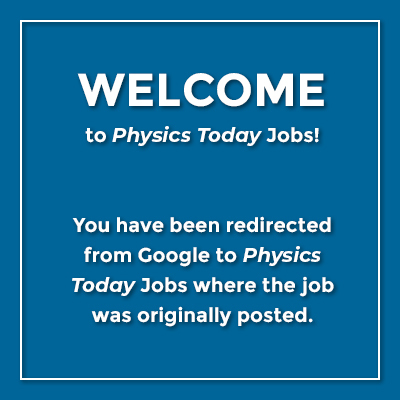 This full-time position is a central and vital role in the development of the activities of the Editorial department and will require the holder to act as a change agent in helping the APS advance its strategic goals in serving the physics and physics-related community. award-winning Editorial Office on Long Island in Ridge, New York, with possible opportunity for travel to the APS’s other locations in Maryland and Washington D.C., and limited need to travel domestically within the U.S. We offer an attractive employment package including a competitive salary and outstanding benefits. More information about the APS (including the APS Strategic Plan 2019) and the Physical Review journal portfolio may be obtained from www.aps.org and journals.aps.org.